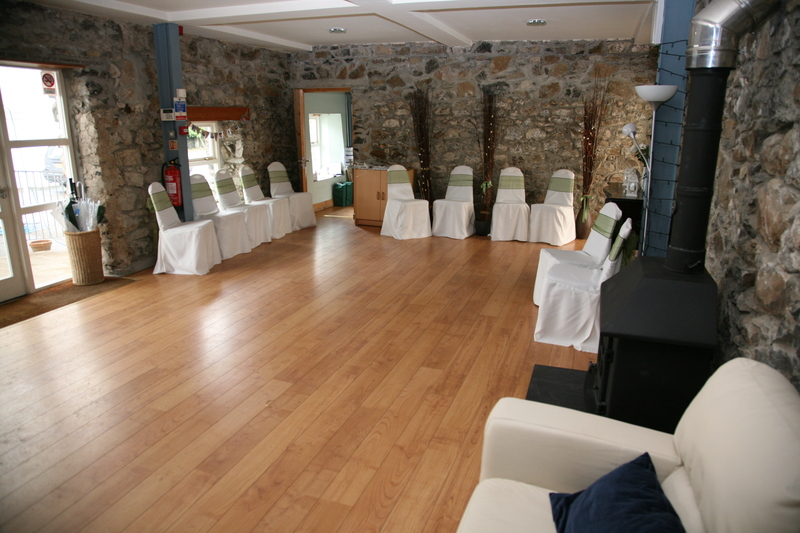 The downstairs in the Stone Barn is a flexible space which can be used for seating, receptions, dancing with a variety of options. 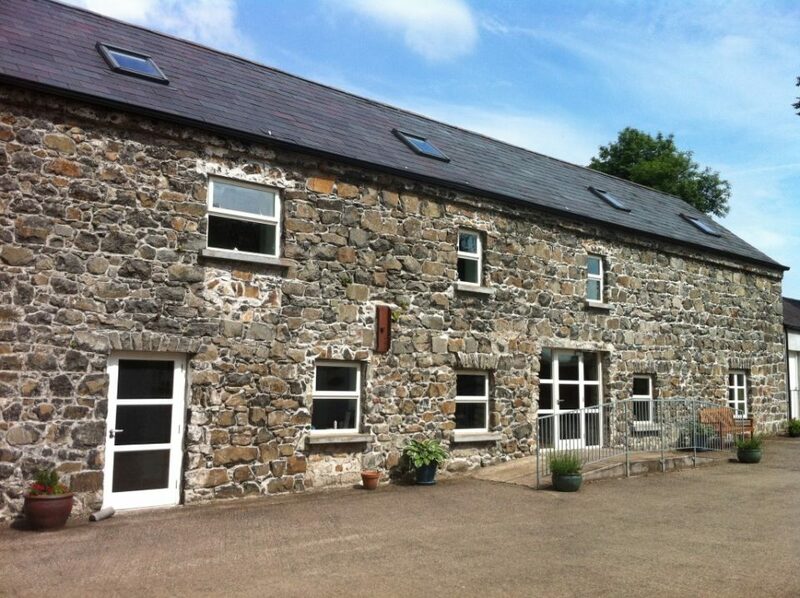 The original stonework is exposed and there is a wood-burning stove. 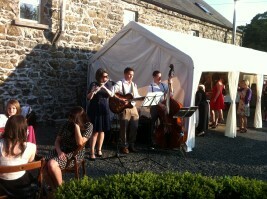 The French Windows open onto the rear patio which gets the afternoon and evening sun. 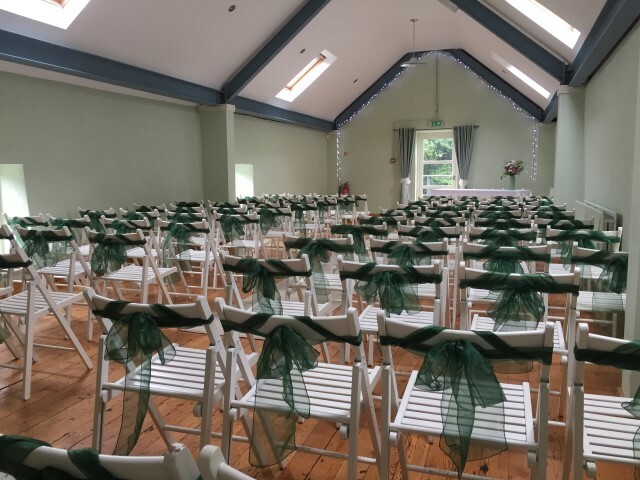 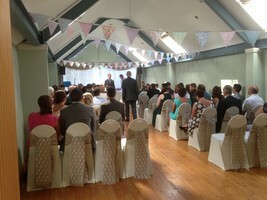 The Stone Barn is licensed for ceremonies for up to 80. 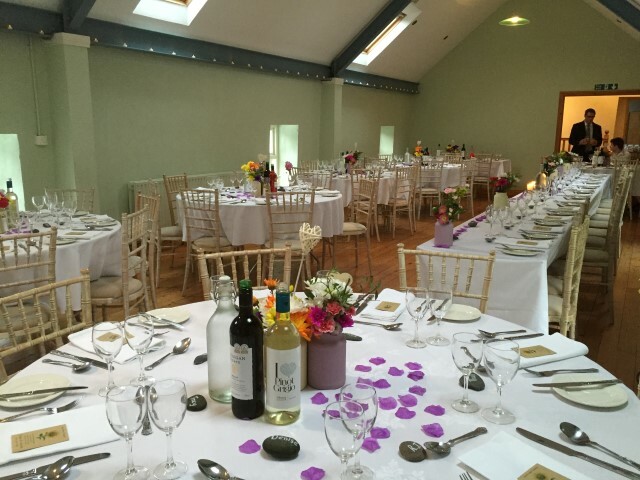 The upstairs of the Stone Barn can accomodate up to 80 seated for the wedding meal. 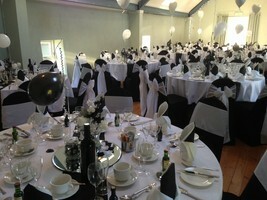 There are three different types of tables available so that you can vary your layout, and two different chair types. 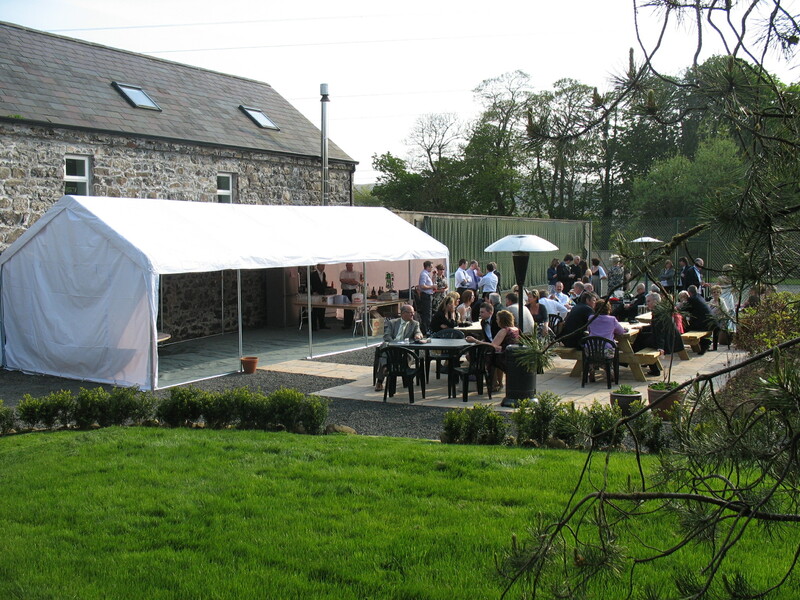 We have two 4m x 10m marquees which extend the stone barn onto the patio area and create a very attractive additional space which is often used as a bar area or extra seating. 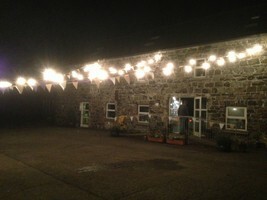 The marquee can be open-sided if weather permits, but there are also lights and heaters.